We should have the rest of the 2013 and 2014 luncheons up on the website soon. To get an idea of our gatherings, please go to our “past gatherings tabs” and learn more. Larry Berman returned to The Luncheon Society with another new book on the Vietnam era. 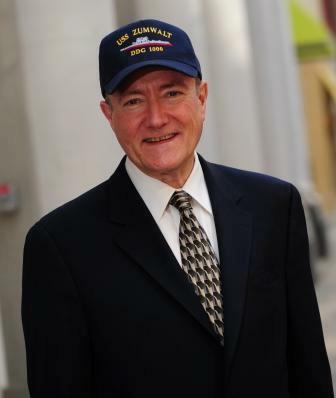 He joined us in Manhattan on his new biography on Elmo Zumwalt, the youngest Chief of Naval Operation is history and who is chiefly responsible for modernizing the US Navy. From 1970 until 1974, his management style lessened the racial tensions, raised morale as the Vietnam War wore down, and dragged the service into the 20th century. Larry Berman is also an old professor of mine when I was an undergraduate at UC-Davis. There he wrote three well-regarded policy books of Vietnam, including Planning a Tragedy-The Americanization of the war in Vietnam,” which made the case that Lyndon Johnson knew that he was going to escalate in South Vietnam but craved a consensus position that would create unity from within his government. He found out the hard way that what works for domestic political consensus failed him in foreign affairs. Lyndon-Johnson’s War/The Road to Stalemate in Vietnam, takes us to 1968, when the failure of the decision-making process in July 1965 (from Berman’s first book) is fully observed as a train wreck in policy and politics. The third book, No Peace, No Honor/Nixon, Kissinger, and the Betrayal of South Vietnam, Berman looks at the last years of the American involvement in South Vietnam, as the war winding down. Both Richard Nixon and Henry Kissinger never expected the North Vietnamese to honor the terms of the agreement and once the terms were broken, they would be able to resume bombing runs over various North Vietnamese targets. For me, as an undergraduate and a student of Larry Berman, I found myself reviewing what few saw at that time, recently declassified documents of the Johnson White House, notes which led up to the decision to escalate American troops. I felt like a fly on the wall and the arguments between McNamara, Rusk, George Ball, and others came alive throughout the rooms in the White House. It was like watching a play and seeing the plot unfold when you already know the ending will be tragic for all involved. Berman’s next book, his book Perfect Spy: The Incredible Double Life of Pham Xuan An, Time Magazine Reporter and Vietnamese Communist Agent, was well-received both here and in Vietnam. The book told the story of Phạm Xuân Ẩn, served as a North Vietnamese spy while he served as the only accredited Vietnamese reporter for Time Magazine in Saigon. An was also friendly with Nguyễn Cao Kỳ, who served a South Vietnam’s Military chief, Prime Minister and later its Vice President under Nguyễn Van Thieu—An trained Ky’s German Shepards. 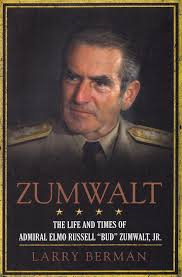 He was brought into the Communist Party by Le Duc Tho, (who would later negotiate the Paris Peace A cords with Henry Kissinger) who sent him to California to learn about America because Hanoi was convinced that after the French left, the Americans would be next. Interestingly enough, An had the chance to leave as Saigon fell but hung around and even helped the Chief of South Vietnam’s Internal Security Forces escape communist capture. 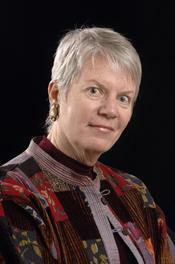 Jill Tarter only needs to be right once. In a universe where there are more stars in the sky than grains of sand on our beaches, is does intelligent life exists out there? As a longtime member of The Luncheon Society, we were pleased that she was able to join us in both San Francisco and Los Angeles for an update on SETI as well as the latest findings from the Kepler spacecraft. As the retiring Director of SETI Research at the SETI Institute and the winner of the 2009 TED Award, Jill believes that time is on her side. We concur. Jill served as the model for Jodie Foster in the Robert Zemeckis movie Contact , a fictional account of what might happen should an alien message find its way to our home planet, based on a novel written by Carol Sagan. Much is to be discovered. It is a good bet that microbial life will be found within the moons orbiting the gaseous outer planets of Saturn and Jupiter. As you read this, there is a hunt for microbial life or existence of past life on Mars, especially since unmistakable signs of ancient rivers and lakes have been discovered.